I'm a kitchen gadget guru! I love to try new ones and see if they are going to make my life easier. 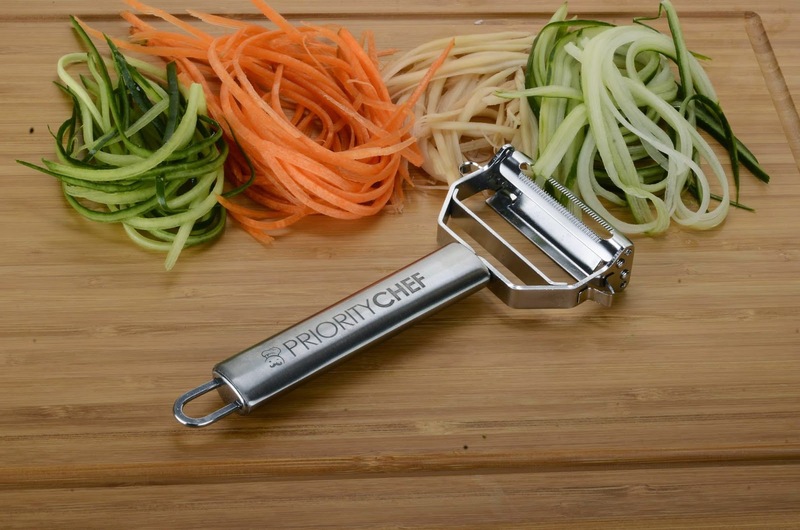 I was given Priority Chef's Dual Julienne and Vegetable Peeler to test out for review and I was pleasantly surprised. 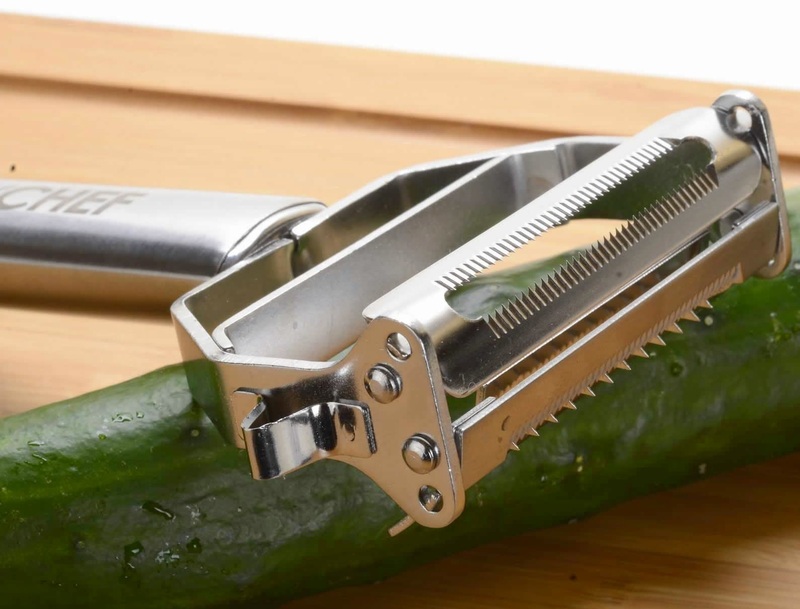 It has two sides one that is your traditional peeler and the other that can do julienne. The traditional peeler is a nice but the julienne is something I really enjoyed! I love being about to cut carrots for macaroni salad or making hasbrown potatoes! It is a nifty little gadget! 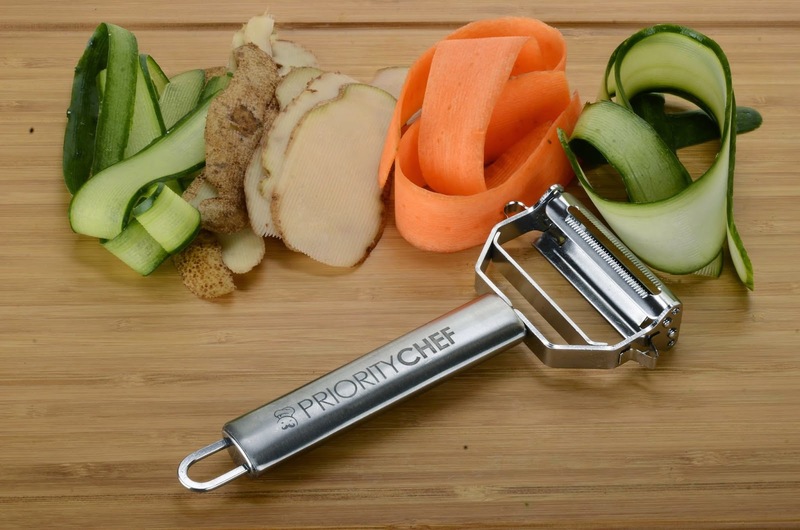 You can purchase your Priority Chef - Dual Julienne and Vegetable Peeler at Amazon. 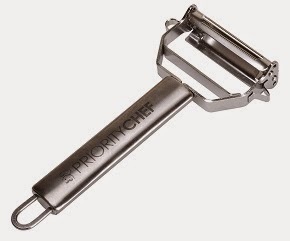 Awesome carrot peeler! I've been looking for a gift for my newly wed friends. Thank God I saw this one.